CherrySue, Doin' the Do: Happy Birthday Jervis Inglot: Sale Heads Up! It's hard to believe it's already been a year since beauty Mecca, Inglot opened for business in Dublin's Jervis Centre but, come the 11th and 12th of August, Birthday celebrations will be in full swing and that means great news for customers. 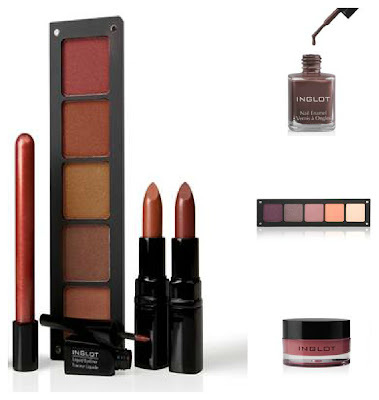 Aside from the chance to play with the eye watering array of high quality products, Inglot have arranged some fantstic offers for beauty lovers. There'll be 3 for 2 on nails (normally €10), you can pick up the AMC Face and Body Collection for €20; Lip glosses will be reduced to €10, there's a stonking 50% off the round Freedom System palettes (there's over 200 gorgeous shades to choose from (!)) PLUS there's 10% off all products on both days. I had a good old play around with a bajillion shadows when visiting Inglot in Blanchardstown with Karen of the LovelyGirlyBits last weekend, many, many hands were swatched, while oohing and aahing but I reluctantly left empty handed. If you saw my bargain post, you'll know why. That's just one of the reasons I'll certainly be hot footing it into the Jervis centre this weekend, I can't have the girls celebrate their big day alone *coughs suspiciously*. You should come too! Is it only on in the Jervis Centre? ?